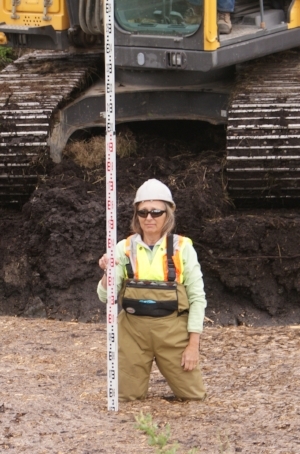 Staff — Larratt Aquatic Consulting Ltd.
Heather has over 35 years of experience with water quality, environmental reclamation, mine reclamation, wetland development, bacterial remediation of mine waste water, reservoir management, phytoplankton and periphyton taxonomy, and project design. Heather is a long standing member of the BC Water supply association, BC Lake Stewardship society, and BCWWA. Heather sat on the Regional District of Central Okanagan Environmental Advisory Commission from 2003-2011. Prior to starting LAC, Heather worked for the BC Ministry of Environment. Jamie has been with Larratt Aquatic Consulting since 2011 and has over 7 years of experience in water quality, algae identification, project design, field sampling, data management, statistical analysis, R programming, photography, digital mapping, and web-based application and tool development. Jamie has previously studied urban planning at the University of Waterloo and worked in both municipal and provincial government environments. Bruce has over 35 years experience in computer programming, data management, accounting and administration, equipment repair, field sampling, and electronic sampling. Bruce is the principle administrator for LAC. Justin has 6 years of experience in field sampling and equipment maintenance.